General Applicability: Super bright green Light, see it perfectly clear with the naked eye, intense beam on targets look like one off of the movies. Fit 22LR, AR 15, spotting scope, optical flashlight, riflescope, telescopic and many other firearms. Convenient to Carry: It's compactness and a rugged design, no matter when travel or hunting. Durable Materials: It's mainly made of high quality aluminium alloy, very solid and practical. 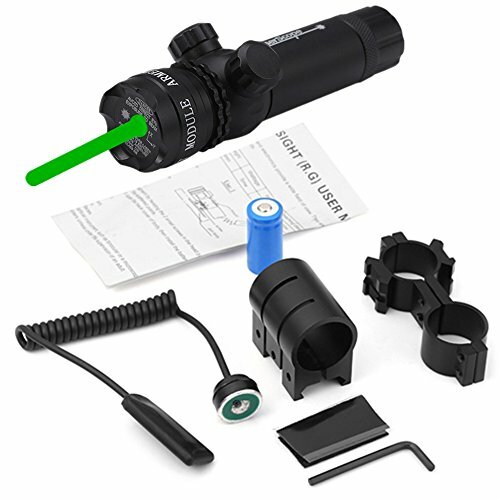 Advanced Bright Light Optics: Emits a highly visible intense green Light beam constantly and obtain a new level of short/long range Light targeting ability. General Applicability: Fit 22LR, AR 15, spotting scope, optical flashlight, riflescope, telescopic and many other firearms. If you have any questions about this product by WNOSH, contact us by completing and submitting the form below. If you are looking for a specif part number, please include it with your message.